I wanted to thank you for helping me find the perfect house. Michelle made my first time home buying experience very enjoyable. I really appreciate the fact that she was willing to work around my schedule, early mornings before work, during lunch, after work, and even during the weekends. She took into account the things I was looking for and did not stop until I found the perfect house. They are true to their motto, she never quits. I will definitely recommend the Glenda Daughety team to friends, family, and anyone who is looking for their next house." "We had a wonderful experience with your office. You were always one step ahead, and kept us in the loop so we knew exactly what was going on. If we hear of anyone who is looking to buy, we already let them know to go and see Michelle at your office, because she was so helpful to us!" "We want to again thank you for all the hard work you did in selling our home. As we found out very quickly, the selling of a home is a complicated process that certainly tries ones patience. You made the journey much easier and kept us grounded when we needed it. The fact that we sold our house for a fair price in a timely manner made the experience even more rewarding. It was a joy to work with you and we have no reservations recommending you and your team to anyone we know that needs realtor services." 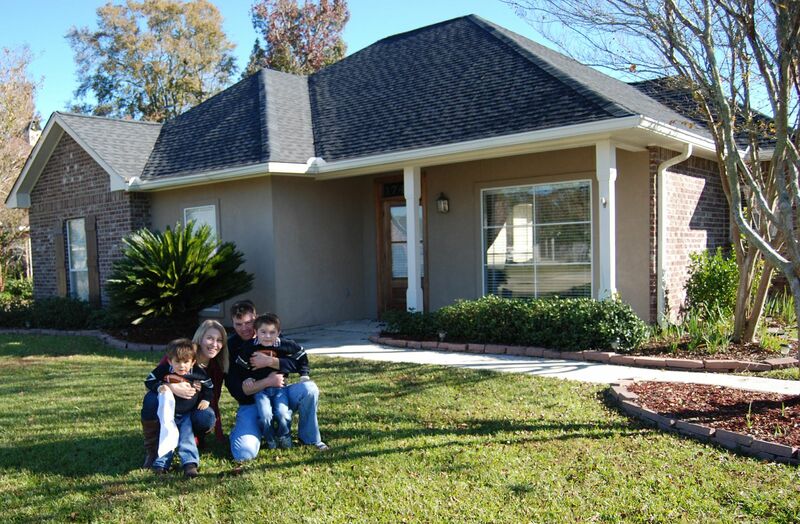 "My fiance and I were brand new to Baton Rouge on 1/1/12, and were interested in buying a home. We contacted Glenda's office, and within no time got a response from Michelle Copeland, who was eager to help us hunt. She set up many appointments for us, and worked with our busy work schedules. She showed us a variety of houses, and very quickly got an idea of our taste and what we were looking for. Not only did she help us find our dream home quickly, she was patient, sweet, and above all very honest and informative. This was especially important to us because we were first time buyers, new to the area, and our families weren't nearby to help. When we are ready to sell or buy again in the future we will definitely be giving Glenda's office a call, and to anyone who is a first time buyer, ask for Michelle! She was amazing!" "It was such a pleasure working with Glenda Daughety and Michelle Copeland to find our home. We just told them what we wanted, and we were in our house less than two months later! They were available whenever we needed them, even on Sundays. Glenda walked us through the home buying process step-by-step so we knew what to expect. Glenda also provided us with a handy list of vendors she recommends for inspections, loans, even house painting. Michelle answered all of our questions quickly and in easy to understand language, and was so pleasant when showing us around properties. We would definitely recommend Glenda and her team to anyone who is looking to buy a home in the area." "Glenda's team made buying our first house simple and fun. Michelle was responsive and attentive while thorough and informative. We love our new house and loved the process! Thanks Glenda and Michelle for never quitting!" " My wife and I were living in Kenner when I received an opportunity to return to work for the Department of Public Safety in Baton Rouge. Glenda was highly recommended by the realtors handling the sale of our property there and their recommendation was more than justly deserved. Glenda took care of all of the myriad details that make relocation something to be feared, and set our mind at ease when she found the perfect house for us. Some years later, it was time to move on, and Glenda worked tirelessly in a changing housing market, personally holding open house showings of our place on weekends, constantly advertising, and never giving up! What an incredible realtor/person/friend she is! Glenda became a part of our family over the years because of her unflagging dedication to professionally fulfilling one of mankind´s basic desires3;that of home ownership. We couldn´t give her a higher recommendation than that." "Glenda made selling our Mother's house easy. It was a "fire and forget" decision where she and her Team took control and I didn't have to worry about anything." "We had a month´s notice when we transferred into Louisiana. Our previous realtor in Georgia interviewed a few candidates and selected Glenda because of her knowledge of the area and proven professionalism. Glenda and Michelle welcomed us and stayed with us, offering support throughout the two month house search. Her motto "Glenda never quits" couldn´t be more accurate." "Glenda, the service you gave me was first rate. We had quite a process we had to go through in getting an older house sold, and even though there were bumps in the road not of our making, you guided us during the entire process and the final result was very successful. A job well done! I´d advise anyone needing a realtor to "call Glenda"! " "Thank YOU on an absolutely fantastic moving experience. Coming in from the San Francisco area, we had no idea what to expect in Baton Rouge, but you and your team worked tirelessly, not just to sell us a home, but to educate us on the areas and give us what we needed to find the perfect home. Months later, our family is loving the house and we sincerely appreciate all you did for us. It´s true...Glenda never quits!" "Just a short note here to express my appreciation to you for your professionalism and care in selling mom's house. You were masterful in keeping me in the loop and talking loud enough for mom to hear and understand! Again, thank you!" "I would highly recommend Michelle Copeland with Glenda Daughety's Team to anyone that is looking to buy a home. She was great to work with, answered all of my questions, and was never afraid to go the extra mile for me!" "Michelle Copeland was outstanding in helping me find my first house. I bounced back and forth from house to land to condo, but she stuck with me and eventually found the perfect place! She took cues from little things that I didn't like about one place and altered a search for a new place. The best agent there is! Thank you so much for everything!" "Glenda Daughety made finding a home a very smooth and pleasant process. She was definitely looking out for me and my family's best interest and freely shared her knowledge, experience and suggestions. Aside from the new house, Glenda was the greatest thing about our move and the whole Real Estate experience!" "Thank you Glenda for all your hard work. You provided excellent service and communicated every detail to us. This was especially important to us as we were out of state during the sale of our home. We couldn't ask for better service or a harder working realtor." "My family appreciates you very much for your assistance in purchasing our house. Your services were very professional; you responded to each of our requests promptly and efficiently. We will remember your patience and smile, and of course, we will be glad to refer you to our friends who want to buy or sell their houses. Best wishes to you everyday." "We had a relatively short window of time in which to sell our home, so we were extremely nervous about putting our home on the market. From day one, Glenda & her staff have been true professionals in every sense of the word. First, Glenda came in with a comprehensive analysis & a specific plan for selling our home. She didn´t simply tell us what we wanted to hear. She took the time to explain every facet of our plan, based on accurate data & her many years of experience. She made sure we understood the entire process with her knowledgeable, patient, reassuring style. Then she backed it up with actions. Rosemary promptly arrived & produced a very attractive "Virtual Tour." We quickly had appointments from potential buyers. We were always kept well informed & reassured during the process, despite the fact that we were such nervous sellers. We had a purchase agreement within a month (even less when two weeks of hurricanes are considered.) Michelle & Glenda made an excellent "tag team" so that someone was always available to assist us. They guided us through the sales/closing process without any problems. All parties involved were extremely happy before & after the sale. There are a very small handful of people in life whom you would choose to take care of your business every time, without any hesitation whatsoever & with total confidence. When it comes to real estate matters, Glenda & her Team were always on that list and will surely remain there. I could not imagine buying or selling a home without Glenda´s Team. They helped us attain our dream." "My wife and I had the best experience buying a home in Baton Rouge. Michelle was extremely accommodating as we searched via email, phone, and in person trips to the area. Being a military family it is hard enough with many moves every few years, but Glenda's Team made this transition as stress free as possible. I would highly recommend this "crew" of Real Estate professionals to anyone interested in a personable, hassle-free home buying experience....P.S. The great service doesn't stop after the sale, we have spoken with Michelle multiple times about various things after we bought our home!!" -Seth, Brandi & Seth Jacob, Jr.
"We are new to Louisiana and were referred to the Glenda Daughety Team through another RE/MAX agent. Your team was everything your reputation said it would be. Michelle Copeland was our primary contact and she has been great through two purchases." 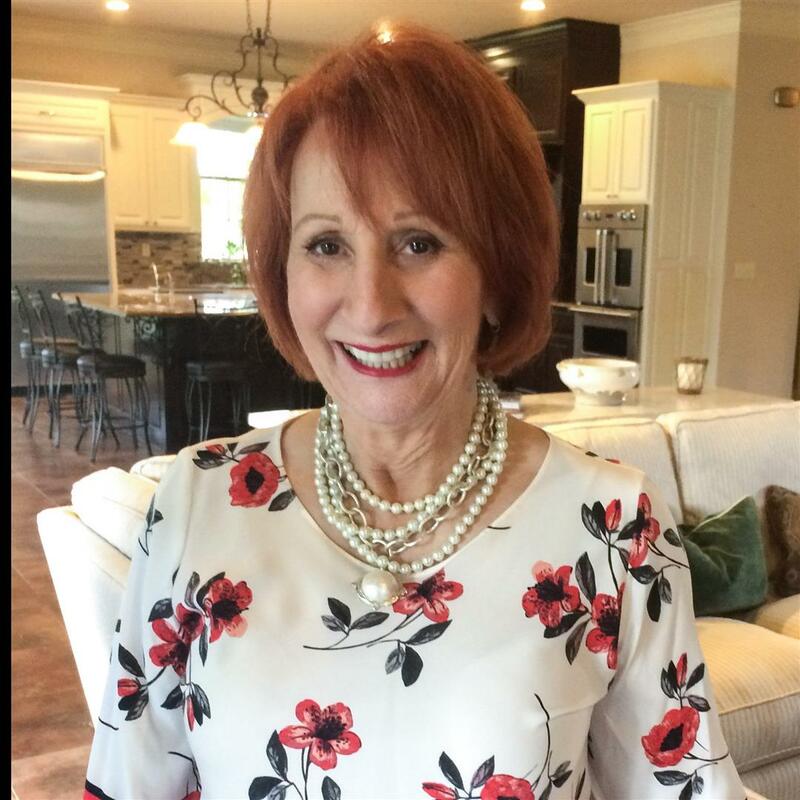 "We recently sold a condo through RE/MAX First, and would like to share our pleasant experience working with Glenda Daughety as our real estate agent. Glenda's extreme professionalism combined with her thorough attention to all details, her genuine concern for her clients, and her gentle character resulted in a very positive experience for us. Her professionalism was demostrated through the powerful virtual video tour which she and her team developed to market the condo. As a result of this virtual video tour we received the first and final purchase agreement offer within one week after the condo was marketed, and a month later we signed the sale documents and handed the keys to the new owners. Glenda's gentle nature put us completely at ease during the selling process, and we sensed that the buyers were also very comfortable due to the patience, politeness and courtesy which Glenda maintained toward all parties at all times. We were kept informed of the sale process, sometimes on an hourly basis, throughout the unbelievable short marketing and sale period. We sincerely appreciated the manner in which Glenda handled the marketing and sale of our property, and we are confident that any future real estate dealings with which we are involved will be assigned to Glenda. We highly recommend Glenda to whoever would like to buyer or sell property in Baton Rouge." 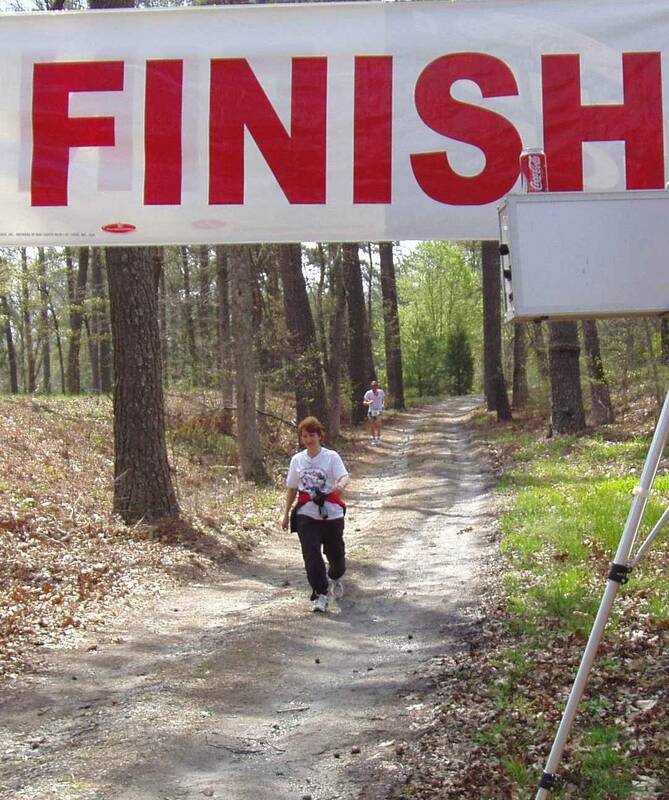 "Glenda and her Team are terrific. I could not imagine working with anyone better. They are honest, hard-working, and always available to their clients. We were relocating out of state and they helped us sell our Baton Rouge home quickly and for the right price. Glenda genuinely cares about people and went way beyond what was required to make our transactions (both in Baton Rouge and out of state) go smoothly. We recommend her to all our friends and family." "It is absolutely true, Glenda never quits! She stuck with us until we found the perfect home, even after we changed our minds a couple of times. We would wholeheartedly recommend Glenda to anyone looking at buying or selling a home in the Greater Baton Rouge area!" "The Glenda Daughety Team handled the sale of our house with professionalism and tenacity in a timely manner. Glenda was always available to answer any questions or concerns we had during this process. Her research of our particular situation to determine a fair price and her knowledge of marketing were right on target. We were so pleased with their performance that we've engaged them to handle the sale of 20 acres of vacant land. We have no qualms recommending this team to anyone looking for a realtor." "It was a pleasure to work with you and your team in the purchase and selling of our home, everything was handled on both ends of the transaction to our complete satisfaction." "Michelle worked hard for us, helping us find the perfect place. She never gave up and helped us not to get discouraged when our search took longer than we expected. We'd definately recommend her to anyone looking for a home in the Baton Rouge area." "The Glenda Daughety Team was awesome! After moving to another state, they made the sale of our home easy. We were very pleased with Glenda and her team and would recommend to everyone!" "We have found Glenda Daughety and her team to be true professionals. Their diligence is unsurpassed. She has listed and sold three homes for us and represented us in the purchase of the home in which we are currently residing. We will seek her services in the event we decide to sell. The bottom line is that she gets it done and she and her team truly never quit." "We looked for a condo near LSU, and we found the perfect place after merely three days. Michelle worked with us, and was always upbeat and resourceful. We owe her a lot. I recommend her without any reservation." "Michelle was great to work with and she helped me find exactly what I was looking for." "Within a day of our signing, they completed a stunning virtual tour of the house. After a week of regularly scheduled showings we had a purchase contract, and a month after signing with Glenda we turned the keys over to the new owners. 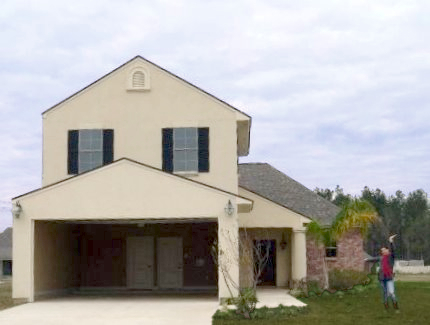 I highly recommend Glenda and her team to anyone selling a house in Baton Rouge." "Thank you so much for the quick sale of our home. I must say, I was very surprised and pleased. The video was beautifully done and the asking price gave us a good leverage. I will be looking for a home of my own in a few months and will definitely call you for help." "Thanks again for your personal and professional help. You made the move more enjoyable. We highly recommend you to anyone who would want to buy or sell a home. Thanks Glenda." "When I was looking for a house to buy in Baton Rouge, I was very picky in what I wanted. Glenda was very patient with me. She spent several weeks helping me find the right house and I really appreciated her help in a lot of decisions. Thank you, Glenda! P.S. I love my house..."
"It was a privilege as well as a pleasure to work with Glenda Daughety's Buyer Specialist-Michelle Copeland. The best and most patient agent I have ever worked with in the past 35 years of buying and selling real estate. She made a very hard and tiring experience easy to cope with and I, personally feel blessed to have had you come into my life. I will never forget you." "When we decided to purchase our very first home, Michelle Copeland with Glenda Daughety's Team came highly recommended. Michelle gave us A-1 service, she was there every step of the way. I appreciate the service we got and would highly use her name in the future, and recommend her to others." "Michelle, thank you for all of the hard work, in trying to find me a home. I know it took a while for me to find one, and I never saw anything from you that said, "I'm tired of dealing with this guy." You were always excited about showing me the next one or telling me what not to do. Thanks for all of the hard work. You will be working by referral soon!" "Doyle and I would like to take this opportunity to thank you and your team for the friendly and professional manner in which you assisted us in our house transitions. Working with you and your team certainly made our transition less stressful. We also enjoyed working with Bill Katchur and Resource One. We are now working with the builder on the punch list and so far he has been very helpful. The house is lovely and hopefully we can really enjoy it once we finish going through boxes and deciding where to put everything. We really appreciate the great service that you and your team provided and I am sure we will miss hearing your cheerful voice every day. Again, thanks and be blessed always." "Glenda was great. She was extremely well-organized and efficient. We saw many different houses and areas in our price range. She really went the extra mile and never quit." "Michelle Copeland with the Glenda Daughety Team did an outstanding job finding our new home. We kept her busy looking at potential houses until we found the "Home." Michelle was the first to respond to an email search at the beginning. She never let us down. Michelle is our "Go To Girl" for all our housing needs." "I want to take this opportunity to express my appreciation to you for the professional manner that you handled the sale of my home on Maxine Drive. You made certain that I was informed at all times. The rapid advertising campaign you conducted no doubt was a key factor in the quick sale of the property which was accomplished in one week. The quick sale was especially important since I had purchased another home. I was able to pass two acts of sale in two days. Selling my home first and buying the next one the following day. Glenda, thanks again. You did an excellent job." 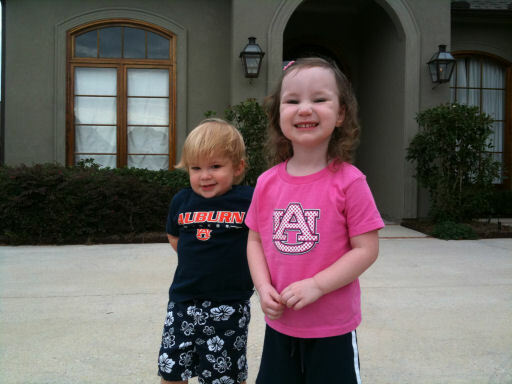 -Everett & Cecilia St. R.
"We were very grateful to find the Glenda Daughety Team. They were very kind, thoughtful, and helpful at all times. They kept us informed about everything that was happening. We've had friends to tell us their Realtors never informed them about anything." "I couldn't have asked for anyone who worked as hard as Glenda to find me a home I could be happy with and with great patience. Looking for a house with certain attributes in my price range was somewhat restrictive but Glenda perservered. I now have my new abode!" "Michelle Copeland, with the Glenda Daughety Team, helped us so much. She took us to several houses, some in the evening which took away from her family which we appreciate. She came and picked me up once or twice to look at houses. She was very patient with us. She accomodated us with our two young boys. We just mentioned all she had done for us to our good friends and they sought her when they wanted to buy their first home." "Monica and I both appreciate the services Michelle provided us while searching for our first home. She was professional, courteous, and knowledgeable, which allowed us to be very comfortable with the advice she gave us being that we were so unfamiliar with the home buying process. We love our new home and intend on letting all of our friends in the market for a new home know about Michelle and the Glenda Daughety Team. Thanks again." "We love our house! Even our cats love it. The neighborhood is wonderful as well. Michelle definately knows her stuff. She made the whole process very smooth. She's very professional and friendly. Again, a very big thank you! If we ever have to buy another house in Baton Rouge we will be calling you." "Glenda Daughety is a very special person in the eyes of my two sons and me... As a professional, she's not only extremely capable and conscientious - who is alert to all details and leaves absolutely nothing to chance, but she's also a fine lady with a lot of heart who has been extraordinarily helpful to both my two sons and me." "You are an absolute delight to work with. You responded immediately upon all of my needs and concerns with point blank responses - no dancing around the subjects. If all business personnel had your personality and outlook on conducting business needs immediately, what a wonderful world this would be!!! Thanks again so very much." "Glenda and, "Larry the Cable Guy", are in sync they both share the, "Get RR Done", attitude. But seriously if results are the bottom line, Glenda's your gal." "Thanks Michelle for all your help and patience. Our home buying experience was a long and sometimes trying one. We spent months waiting on the SBA loan approval and dealing with all their demands and delays but you were there whenever we needed you and immediately provided whatever we needed. Even when you were out for surgury Glenda stepped in and handled things so there was no interruption in support and you followed up as soon as you were able. I sincerely believe having you as our agent made this experience much easier than it would have been otherwise." "I began searching for a home on my own on Glenda''s website. I really enjoyed the site, very easy to navigate and user friendly. I found a home that I wanted, and emailed Glenda about it. I received a phone call, and knew that I had made the right choice. Glenda is very knowledgeable, friendly and hard working. Each time I called Glenda, she responded with earnest. I would highly recommend this agent to my friends and family and would do business with her again in a heartbeat, if the need arose." "My parents and I searched frantically for a new home in the Baton Rouge/Gonzales area after having lost ours to Hurricane Katrina. Like a lot of evacuees, we were strapped financially and were paying an exorbitant amount for an apartment in the meantime. We spent nearly two months looking at various houses in both parishes, and went through two other realtors with two different companies before a co-worker hooked me up with Glenda Daughety / RE/MAX. Thank goodness we found her. She not only listened carefully to our needs and budget, but did her research so that the houses we inspected were all in the general ballpark of what we sought unlike the other realtors who seemed to set up appointments for every and any house in our general price range. In the end, we ended up purchasing the VERY FIRST house that Glenda showed us. Glenda continued to work hard to ensure our legal interests as buyer were protected by revising the Purchase Agreement (several times) and negotiating with the seller so that we not only got the house we wanted, but with terms we could live with. GLENDA IS GREAT! We love our new neighborhood, and even though we greatly miss our old friends and family from our now devastated hometown we give thanks entirely to Glenda finding us the right "fit for our family" we´re happy to say that Baton Rouge is a great place to start over and call home." "Glenda, over the years, I have come to totally depend on you for my real estate needs in Baton Rouge. It is good to have someone who looks after each client like they are her only one. I wouldn''t even consider using a different realtor. I always recommend you to friends and coworkers looking to buy or sell a home. Thank you so much." "Truly a Wonderful experience. I would definitely recommend this team to anyone looking to buy or sell a home! I have been in the mortgage business 20 years and would not hesitate to recommend! Michelle was informative and responsive- incredible to work with! Thank you!" "Michelle made the home buying process so much easier for my husband and me. She was always available by phone or email for any questions we had, even during non working hours. We would recommend Michelle as an agent for anyone looking for a new home." "Great experience! Glenda's Buyer Specialist, Michelle Copeland, was very helpful and patient, as well as understanding when it came to my particular needs. I am now a happy homeowner in the house of my dreams thanks to RE/MAX." "Glenda's Team worked around the clock to ensure our house would close before school started. This helped us to focus on school instead of searching for a place to live." "Thank you for your very valued assistance. We give you full credit for acheiving a quick sale at our asking price. We couldn't have done it without you!" "Glenda, it has been a real pleasure having you as our Realtor and getting to know you. You sense of humor and positive attitude (no matter what) kept us sane through the process. You were always available and that meant so much! Whenever we hear of anyone looking for an agent, you will certainly be the one we recommend. Thank you for all of your time and for being a friend." "Glenda was always available and helpful. She is dedicated in finding the right home for her clients. She is friendly and knowledgeable." "Glenda and her staff met our family needs and showed deep concern for us. After my Dad had a major stroke and had to come stay with us, we were pressed for time to find a suitable home. 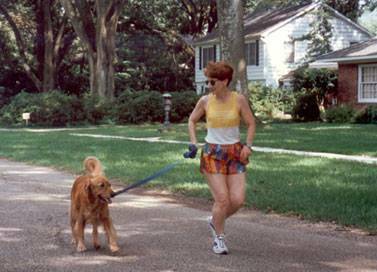 Glenda ran the extra miles to ensure us we would get our home. Not only was she our agent, she was a friend, and to us, she was like a family member. She looked out for us and explained everything along the way. Unlike some agents, she left no stone unturned. Even her off time she took the time to call and check up on us. She is a true expert in her field and with her soft-spoken manners she made us feel relaxed because we were in good hands. Sometimes Thanks is not enough, but for Glenda-Thanks from us means, Welcome to our family, Thanks Glenda." "I was very pleased with the level of knowledge and service provided by Glenda and her buyer specialist, Michelle. It was easy to reach them when needed, and they were always helpful and pleasant to deal with each time." "Glenda's expansive marketing base, expert advice, and prompt service helped us sell our home during the winter season without delay. We are grateful for her wonderful guidance during this stressful time." "Glenda Daughety was invaluable in assisting me to sell my home. I found her to very knowledgeable in her field. Her pleasant demeanor and positive attitude contributed to the sale as well. Furthermore, I would definitely refer others in need of selling their homes to Glenda. She is an asset to RE/MAX." "Working with Glenda has always been a great experience. This was our third house to list with her, and every time she has sold the house within two weeks of the listing date. Thanks Glenda!" "I highly recommend Glenda to anyone buying or selling a home. She was extremely valuable to me when I wanted to buy a house as well as when I sold it. If I return to Baton Rouge I will definitely want her to handle my real estate needs." "We lived out of state and with Glenda's help we bought new construction. Glenda kept us informed of the progress of our new house. She followed up on all the many details even after we closed and moved in. Glenda lives by her motto-"SHE NEVER QUITS."" "My wife and I recommend Glenda Daughety without reservation as a real estate professional. She located for us and assisted us greatly in purchasing just the right home. We love it!" "We had an amazing experience working with you! You made buying and selling at the same time absolutely painless! We appreciate all of your advertising efforts-our home sold in just days, allowing us to purchase our dream home. This was completely unlike our realtor experience in the past; you took care of my family with a personal touch. It´s true-you never quit! Many Thanks." "Michelle, Glenda´s Buyer Specialist, was truly great. She was so patient and understanding even after showing us several homes." "Great service from dependable people who you can trust. We appreciate Michelle's helpfulness and guidance." "When Glenda says she never quits, she means it. It took 10 months and who knows how many house tours to find my "perfect house." "Glenda´s comprehensive knowledge of the real estate business, her sharp attention to detail, and her genuine interest in helping her clients find exactly what they want, make her the best possible choice for anyone thinking of buying or selling a property. Having a great sense of humor and the patience of a saint doesn´t hurt, either! Glenda exemplifies professionalism in every way." "I honestly think I would not own my own home if not for you, Glenda. You were patient, helpful, but most importantly you never quit looking for me. I really cannot thank you enough. I Love my new home. It´s mine because of you! Thanks so much." "Glenda was always available to answer any questions we had, and she was truly helpful in that she understood exactly what we were looking for in a new home. Since we were re-locating from another state, it was all the more pleasant having Glenda do our legwork for us. Now we are in the perfect home for us!" "I chose Glenda Daughety as my realtor, recently, to sell the house she sold to me six years ago. I appreciated Glenda´s integrity and professionalism six years ago as the home purchaser, and even more as the home seller. She is knowledgeable of the laws and procedures involving real estate brokerage and makes you comfortable that your property transaction will be made according to the highest professional standards. Glenda solves problems big and small, she assisted me in finding a reliable carpenter for minor repairs to my home, and acted as my executor when I could not be present at the closing. She guided me through the entire selling process, keeping me well informed of the transaction at every stage. Bottom line... I trust Glenda." "If you´re looking for a new home or trying to sell your existing home my wife and I would recommend you consider Glenda Daughety. We appreciate the hard work she put into selling our home. The professional and cordial manner in which she conducts herself made this process enjoyable. With our busy lifestyle we appreciate a realtor who will go out of their way to return our calls and schedule meeting times at our convenience." "If you want quick results, then Glenda is the agent for you. My house sold within the first week. And what a pleasant person to work with! When she tells you she never quits, you best believe her." "Glenda you are not only a top-notch realtor but also a top-notch person. You were very professional and knowledgeable about the real estate market. We trusted you in buying our first home, selling that home and buying a second home. You had a great work ethic and looked out for our best interest. Also, you did a great job in helping my mother sell and buy a home. We highly recommend Glenda for all your real estate needs. She is a real classy lady!"